Grant and Rob discuss the Naked Now: a recycled storyline from the original Star Trek series. You might remember it for the infamous ‘full functional’ scene with data. It turns out there was far more to it. There’s Troi’s sudden lack of uniform, Beverly and Picard flirting outrageously, and potentially ‘peak Wesley’. Join us for the rewatch. 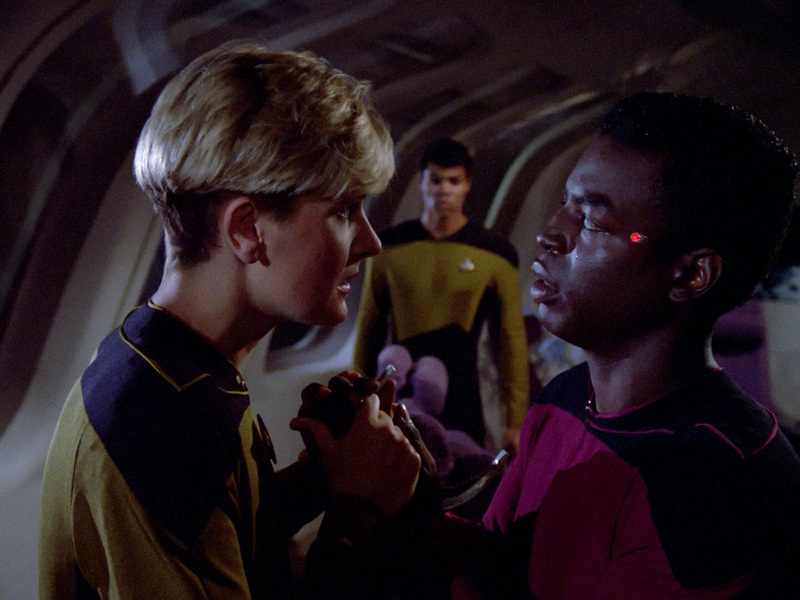 Tasha rescues Geordi from his own ennui. Posted in Season 1, TNGTagged Astronomy, Beverly, Geordi, Sexism, Tasha, WesleyBookmark the permalink.